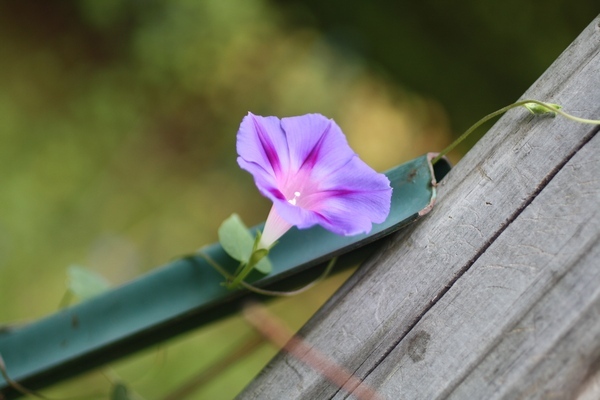 Morning glories are opportunists. They will reach out and grab onto whatever is available, making their corner of the world more beautiful. Sometimes when they’re reaching, there’s nothing there and I will help the dangling stem attach to something. 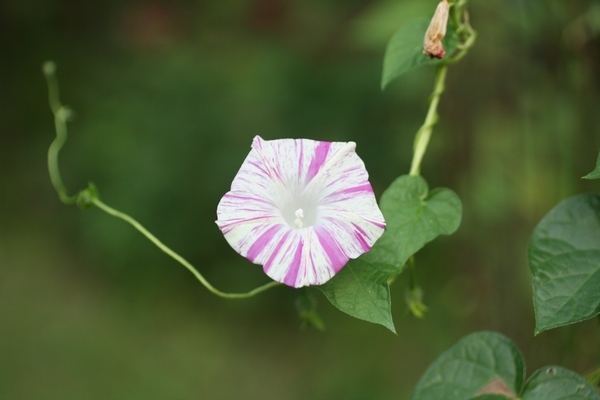 The stems can be so thin, and almost translucent, so at times, it looks like the flower is floating, unattached. 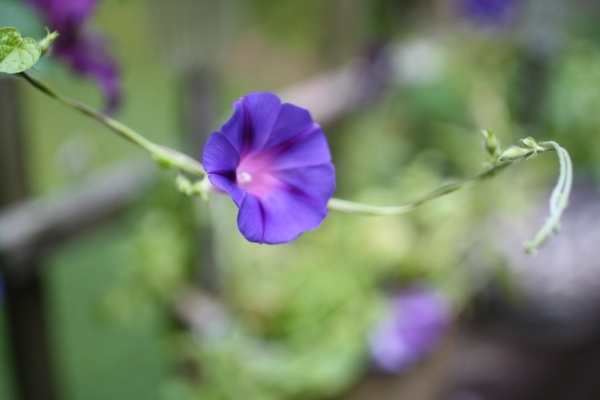 They also grab onto other plants, beautifying them too. They also play peek-a-boo. 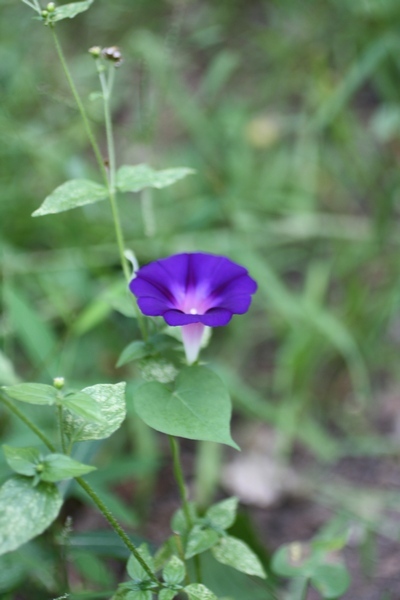 This flower was hiding behind both leaves. Each year, Wes and I try different flowers, with some success and some, if not failures, are less than successful. 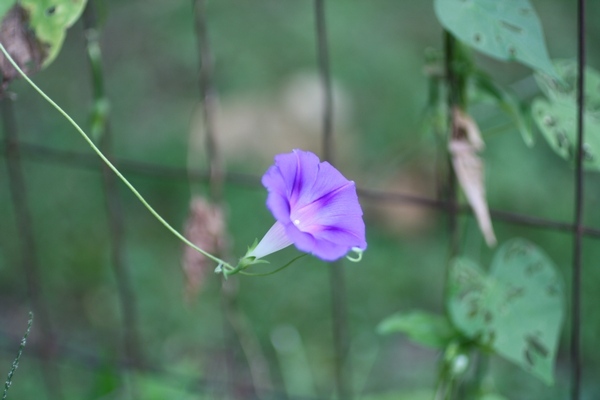 The cleomes we tried this year were kind of disappointing, with small plants and wispy flowers. 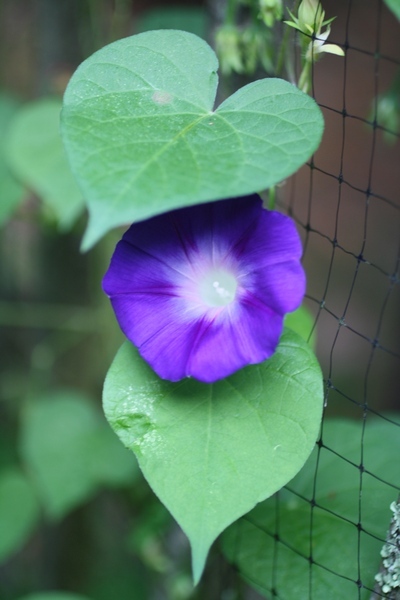 I will always grow morning glories. Being opportunists, we don’t have a choice over whether or not we grow them. They are everywhere.